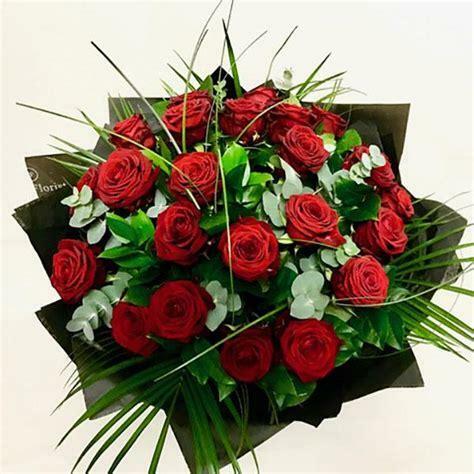 A sumptuous & luxurious bouquet of 24 x long stem Gran Naomi roses, with selected foliage and luxury wrapping. This large bouquet is tied, and ready to be placed into a vase. It must be unwrapped and placed in water upon delivery.